What was our audience reading in 2015? Here is top ten posts (excluding news), which range from student letters to weird animals. If you have a son or daughter attending university, most likely you will be getting a message from them asking for money. Apparently, this is part of a long tradition that goes back to the beginning of universities in the Middle Ages. 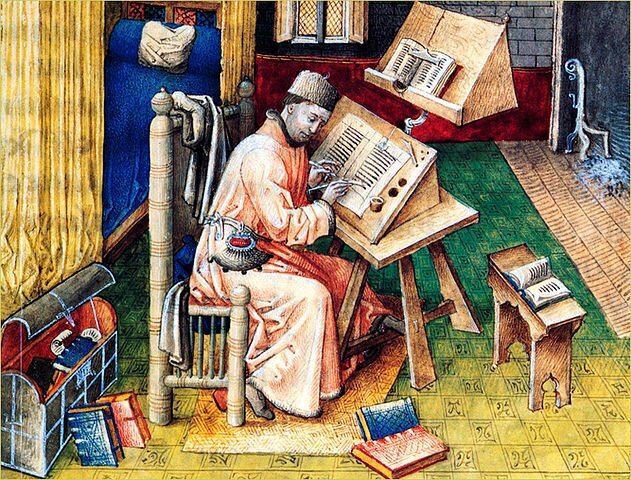 Here are fifteen mysteries that are still puzzling medieval historians. Here is my list of cool, creepy, unusual and better than the Mona Lisa at the Louvre in Paris. What were some of the more unusual weapons used by medieval armies? We put together a list of the strangest weapons that were ever used (or even designed) in the Middle Ages. Winter was the most dangerous time in the medieval calendar year. So, how did medieval people cope? Everybody loved straw hats and Italians were enamoured with slipper socks. Even in medieval times they had stories and legends about people with extraordinary gifts – saints and warriors with special powers. Here is our list of ten superheroes from the Middle Ages. In the Middle Ages, the ideal woman was meant to be either a helpmeet in marriage, or a cloistered nun, obedience being paramount in both roles. Human nature being what it is, however, not every woman found it easy to fill one of those narrow roles in society. And may not have existed either! In the Middle Ages, Bestiaries were created to catalogue the various creatures that lived around the world. They would include various animals like horses and lions, along with more fantastical creatures such as dragons and unicorns. Here are ten creatures that are less known but have unusual characteristics. Some were based on real animals, while the origins of others remain a mystery.